Alain Zell, CAPITALIUM ADVISORS® CEO, speaks with Global Banking and Finance Review on the occasion of winning the Best New Independent Asset Manager Switzerland 2017 awards. CAPITALIUM ADVISORS® is an independent wealth management company based in Geneva and offering premium services for international clients. Since its establishment in 2016 CAPITALIUM ADVISORS® has flourished, and today the firm is one of Switzerland’s most important asset management firms. With its sister company, SCHOEB FROTE® in Neuchâtel, in 2017 the firm exceeded the billion-dollar mark in AuM. This success is down to the firm’s innovative approach to investing. Whilst many financial institutions focus on cost cutting, CAPITALIUM ADVISORS® do the opposite, and continually invest in new solutions and create fresh ideas. Additionally, the firm’s dedicated and experienced team develop solutions especially for their clients, whether families, the emerging generation of millennials or entrepreneurs, so that every client the firm supports receives a unique service tailored to meet their exact requirements. As part of this approach, the firm values its independence so that it can provide clients with the best solutions for them from across the market. 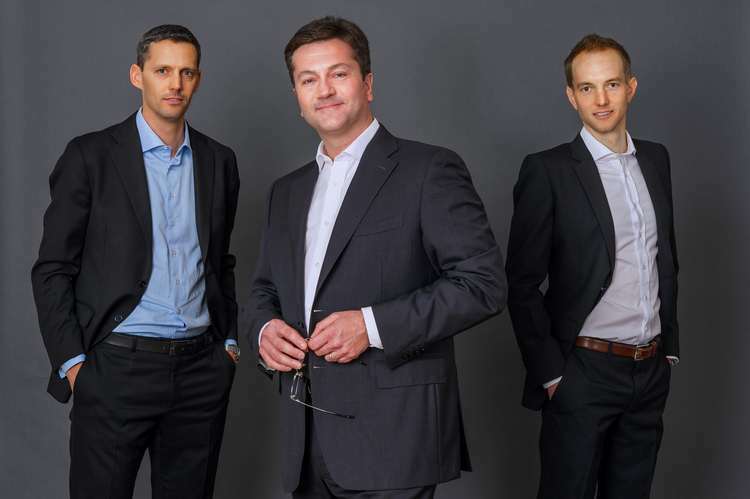 Wholly owned by its founders, Alain Zell, Sebastien Leutwyler and Clement Schoeb, CAPITALIUM ADVISORS® is not a part of any financial establishment. This allows the team to deliver services completely independently, without any conflict of interests and with the standards of excellence that we have imposed on ourselves. The company’s added value is based on a firm commitment with two objectives: protecting and expanding its clients’ assets. Central to achieving this is the firm’s focus on performance, which drives its decisions and recommendations. The team also consider factors such as flexibility and efficiency to optimize our output. Models borrowed from core-satellite institutional investors inspire its work. The choice of tools revolves around indexed vehicles and investment funds, which the firm supplements via investments in direct lines, derivatives, structured products and real assets. More than just wealth manager, CAPITALIUM ADVISORS® revolves around people and values. Its founders share a passion for quality, abide by common values and adhere to a collective vision to redefine wealth management and its practice. To meet the needs of the new generation of clients, the company works to understand their evolving expectations as well as the risks they are taking. This enables the firm to offer an innovative approach, built on rigor and excellence. CASA INVEST®: they manage discretionary mandates, consultancies and supervisory services. The investment landscape covers all types of financial assets and monetary bases. They implement tax-efficient management, in the structures and in the investments they select. CASA NEXGEN®: the proprietary concept, is the non-financial branch of the CAPITALIUM ADVISORS® services. It is targeted above all to families, helping them tackle challenges related to the transmission of patrimony. The company offers an ecosystem built upon three pillars that the young generation interacts with on a regular basis : investment, education and mentoring. CASA ADVICE®: they help their clients to maintain total control over their private affairs, with a team of professionals who master the challenges and increasing complexities of today’s environment. The company has equipped itself with state-of-the-art tools that allow for granular monitoring and analysis of financial assets : Connect by CASA (listed assets) and F&P System (non listed assets). By collaborating directly with clients, the firm is able to ensure that its solutions simplify their finances and integrate easily into their lifestyle and principals. Thanks to this approach, clients benefit from unique financial expertise, which puts transparency, excellence and simplicity at the forefront. The firm builds lasting and trustworthy relationships with its clients and put their best interest at the heart of all that it does and delivers. More than ever, clients are seeking a relationship based on trust in which the lack of conflicts of interest allows a dialogue that goes to the essentials; preserving, growing and guaranteeing the transmission of their assets, and CAPITALIUM ADVISORS® deliver this. Ultimately, despite its relative youth CAPITALIUM ADVISORS® has positioned itself definitively as a player able to offer a true alternative to traditional banks. Building upon this success, looking to the future CAPITALIUM ADVISORS® will continue to expand both organically and externally while continuing to demonstrate the added value of a business model that is close to its clients and with no conflicts of interests. Backed by common sense, hard work, boldness and enthusiasm, the company has ensured that it is well positioned to implement these ambitious plans and achieve even greater success for both itself and, most importantly, its clients.